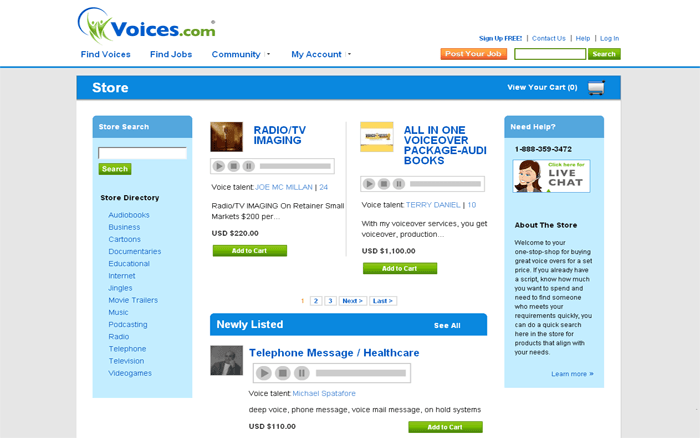 Voices.com needed extended B2B E-commerce offerings and workflows for Professional Voice Services, and Up and Running helped them build a scalable, maintainable, and flexible platform. Access to 30,000 voice actors representing more than 100 languages. Projects are completed in 24-48 hrs, usually cutting production schedules in half. 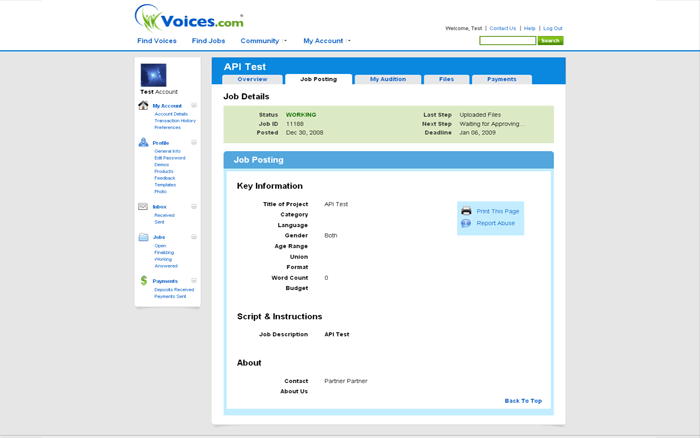 Financial transactions are processed securely online, taking the complexity out of paying voice actors. 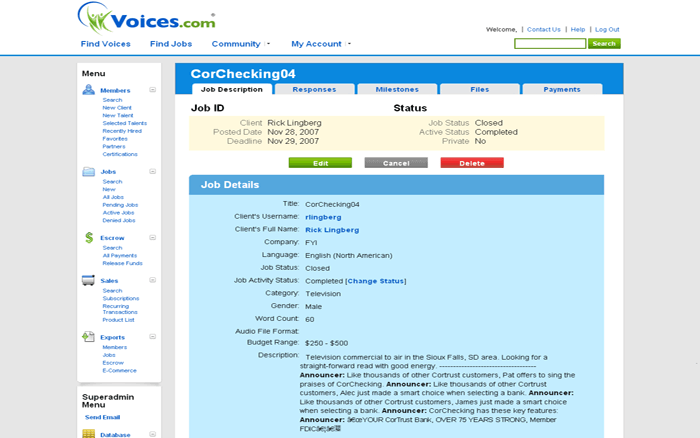 The form above was designed for an advanced set of users that want pure functionality for simple entry of data that's required and desired for a new Voices.com user. 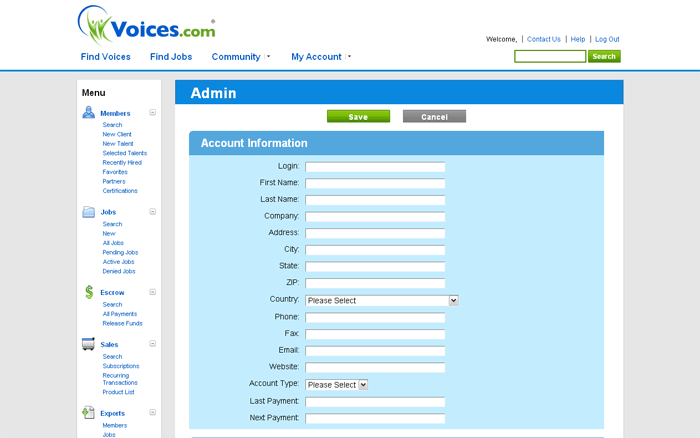 The form has the proper error validation one expects in all forms. In summary and simply, it's a good example of doing what's needed by specific users to do a specific job.